My most adorable little God baby turned one this past week and I was delighted to provide the sweet treats for the event. 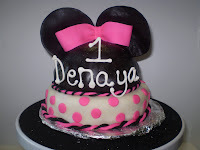 I was told the theme was Minnie Mouse and asked to provide cupcakes for the kiddies, and a layer cake for the adults. Okay, so I'll keep the cake simple so as not to become overwhelmed, I told myself. Simple? Yeah right. Do I even know what that word means? Well, after hours of searching for black candy melts, thinking I would use them for mouse ears on the cupcakes, I finally decided to use Oreo cookies, since I saw that a few others had done it successfully. I mean since I'm keeping it simple, I don't dare take the time to make a dozen mouse ears. Nooo, I take the time to make a dozen bows instead, (which, btw, is much more time consuming than mouse ears). Then I make the red velvet cake, and instead of "simply" frosting it, I break out the black fondant. Who knew it would take forever to roll it out? And forever for those huge mouse ears to dry so they could stand upright? I mean, who would attempt such a feat for the first time on the day of the event??? Me... the one who claims she likes to keep it simple. I must say it all turned out pretty nice for my first time even using fondant. I worked with modeling chocolate once, and made a cake with it that same day (an overwhelming and exhausting story for another day). But fondant, never have touched the stuff. But I'm glad I took the time to challenge myself. Of course nothing is too much for my Hunnyboo. I recently joined a baking blog, Baked Sunday Mornings , in an effort to challenge myself. I've owned the cookbook Baked Explorations for some time now, and have never done more than flipped through and drooled over the pictures. Baked Sunday Mornings puts me on a schedule to finally start baking my way through this book. 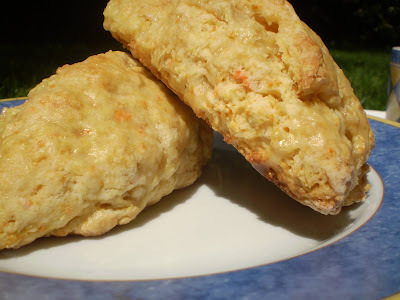 So this morning, or shortly thereafter, I baked the carrot coconut scones with a citrus glaze, and am I glad I did. 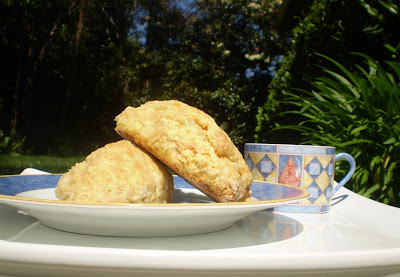 I'm actually surprised at how much I love these scones. I didn't get good photos of the whole batch, as they disappeared pretty quickly. The recipe can be found at the Baked Sunday Mornings blog, and the cookbook can be purchased at the Baked website. Yes, I do recommend the recipe AND the book. Imagine arriving at a place that, until that moment, only existed in your imagination. Imagine a chance meeting with the person who created this place. What a divinely created opportunity to sap some advice from a would be mentor. What more could you ask for?? 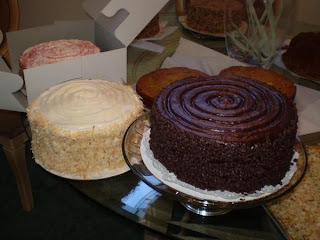 Last Friday, I went on my monthly dessert tour which included SusieCakes in SF. And guess what...Susie was actually there! I don't know about other sweet lovers or bakers, but when I walk into a place like this I have to control my emotions. I want to cry, scream, and start jumping up and down. I was so glad I had my 7 year old with me, because when she acted a fool in this place, I could just live vicariously through her. People think it's cute when a kid loses their mind in a sweet shop. But a grown azz woman, hmm, not so much. I often wonder if I'm the first and only nut case they've seen all day when I arrive all wide eye'd and giddy, ordering one of just about everything, and insisting that they add insulin shots to the menu. I visited a number of well known SF sweet spots that day. 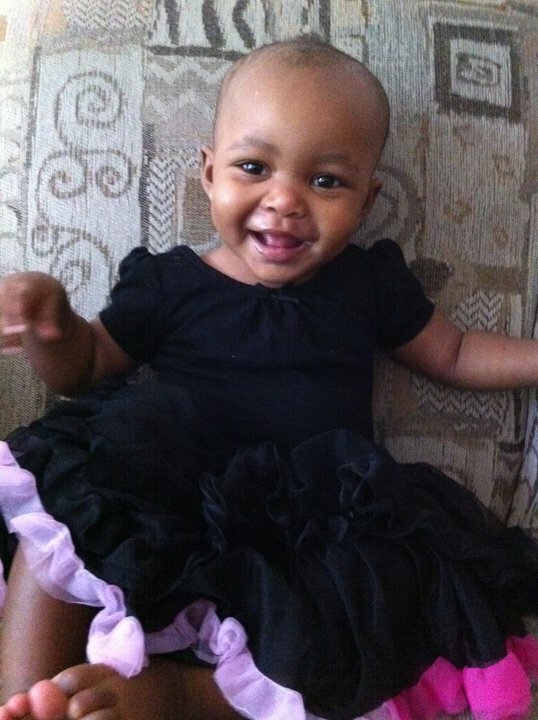 But this one, I fell in love with. SusieCakes, you now own a huge part of my heart. This is one of those places that makes you cry, because it reminds you of a time when you were a kid, a time that you can't go back to. It makes you smile, because the sweets are actually as good as they look and smell. And it makes you scream and jump up and down, because, well frankly, after all that sugar what else are you supposed to do? As an aspiring bakery owner, I left SusieCakes with my emotions all over the place - overjoyed that I'm blessed to be so close to a place much like the one I dream of owning; intimidated - umm, this chick can bake good enough to please me, and probably my momma too, and that's sayin' a lot. And overwhelmingly inspired - if she's living my dream, so can I. 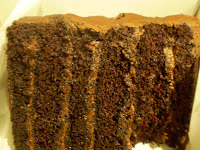 Now, about the sweets... First, the chocolate cake. OML(oh my lawd-have-mercy). This cake was moist, decadent, and the frosting had a lovely hint of coffee. Oh-oh-oh-oh-oh-oh-ohmygosh. The chocolate chip cookie - I love you, you're unforgettable -chewy, gooey, warm, just too good to be true. And let's not forget the lemon bar...sheer perfection. It might actually rival the family recipe. The cupcakes - after all that, I couldn't eat them until the next day. But Susie did not disappoint. Even her day old cupcakes were better than many other places I've visited and gotten freshly baked cakes. Friday was a good day... maybe the best of days. And no good day ever dies. I'll always remember the day I met Susie, and her cakes. And I'll especially always kick myself for being starstruck, saying nothing to Susie when she complimented me on my pink trenchcoat, other than "Thanks... I saw you on tv." So I met her - the queen of pop. Okay, the queen of cake pop. I like to call her the next Martha Stewart. There we were, in a sea of what had to be a thousand (well, 200) women, me and my mini-me, and her buddy Curious George. We waited in line for what seemed like 2 and a half hours... actually it WAS 2 and a half hours, to have our Cake Pop book signed by Angie Dudley, Bakerella herself. Now I don't usually get hyped up about people, just food. But someone who can do such creative things with food, that kind of person always peaks my interest. Can I just be the black Bakerella? Pleeeze? A book deal??? For cake??? OMG, this woman is living my dream. Everybody was so happy that day. And why? Because we were a group of like-minded cake-loving, craft-doing women getting answers to our questions about cake pops, blogging, and have-you-quit-your-day-job (to which she surprisingly answered "no"). I remember looking piercingly into Angie's eyes as she answered my questions. The plan was for her to recall my brown face and curly 'fro when someone within her publishing company asks "can you make some soulful southern treats for your next book? We'd like to appeal to the African American consumer." And then she would reply "no, but I know someone who can." We'd collaborate and call the book "Bakerella and the Sweet Tooth Therapist" and I would live happily ever after. After awakening from my daydream, I left Williams Sonoma fully inspired and ready to make cake pops. I immediately purchased all the supplies needed as well as a second copy of her book - the signed copy goes into the closet along with the unopened limited edition Barbie collection (my other love). Angie is the first person to inspire me to actually show up for a book signing and stand in line, and I'm glad she did. It was a pleasure to meet her and learn from her. I'd like to think that aside from making a nice chunk of change from the book deal, Angie is experiencing the joy that comes from knowing you've inspired and impacted others in a positive way. That kind of joy is priceless. 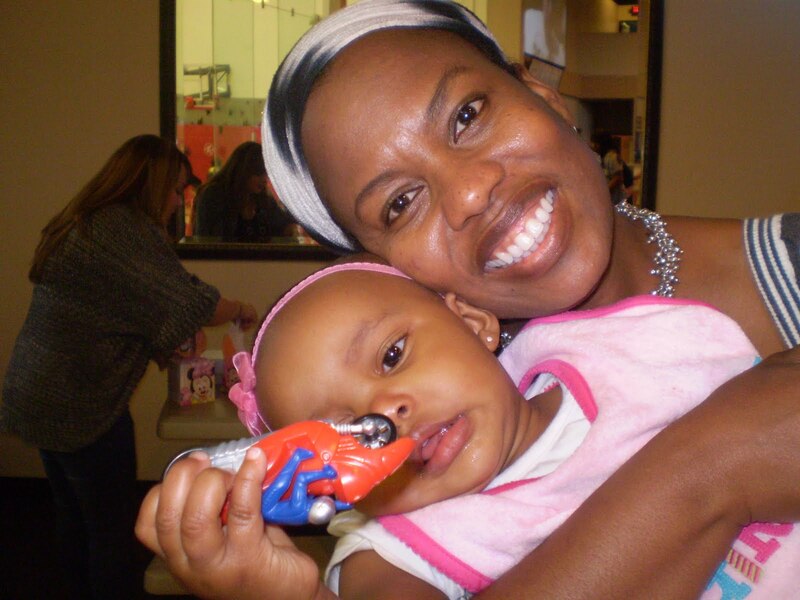 That kind of joy is what sweet tooth therapy is all about. 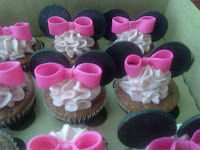 Wow, I've come a long way - from absolutely hating to make cupcakes to making it my daily passion. That just goes to show what maturity can do for you. A year ago when my business mentor said "you should do cupcakes - they're all the rage now" all I said was NO. Layer cakes and I had such a history, such a love affair. I thought cupcakes were just too messy, too much trouble (translation - didn't want to learn a new skill, and certainly didn't want those pastry bags to clean up). But then it hit me - 6 pounds, that is. 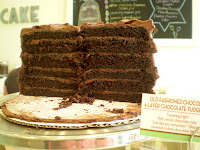 Six pounds of chocolate layer cake weight gain. I mean what else are you supposed to do when somebody gives you a whole cake (and then you practice and practice duplicating it)? After that, I wouldn't bake a cake for months for fear of turning on my voracious sweet tooth. When I finally recovered from my fear-of-weight-gain-from-cake-aholicism, my baking passion was revived by the cupcake. 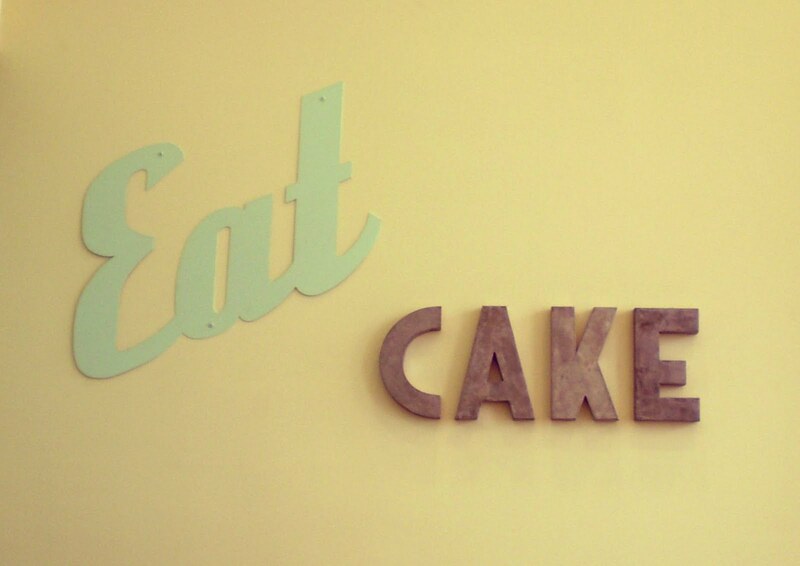 There really is something magical about those little cakes. They're cute, satisfying, and somehow I can eat just 3... well it's better than a whole 8 inch 3 layer cake. After months of agonizing over a name, the business is called, of course, Sweet Tooth Therapy - and the website is coming soon, like in a few days soon. The focus has changed from southern cakes and cupcakes to a focus on the fact that sweets really are therapeutic. Yes I am still a dietitian, but one who has chosen to embrace her deepest passions - baking and eating. :) Life really is sweet. Well I know it's been a while since I've posted anything here so please forgive me. No really good excuse, just blog neglect. 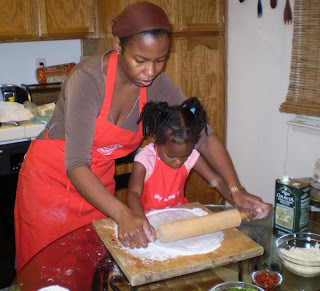 My earliest memory of baking was when I was 3, making AND tasting mud pies in the backyard in Texas, working hard to get the right consistency and shape. I eventually graduated to being the official mixer-holder for my Arkansas mom's many orders for cakes and pies. Not seeing my love of baking as a career option, I ended up moving to Atlanta and getting a degree in psychology, and then nutrition. As a registered dietitian I declared there was no way I would contribute to the obesity epidemic by being a baker, despite the fact that my love of baking was growing weary of being suppressed. Well, I've finally given in, thanks to the cupcake boom. At last there's a way to combine my loves of baking, psychology, and a well balanced diet. There is nothing more therapeutic than savoring the flavors of your childhood. I once had a customer take one look at one of my cakes and burst into tears. He said he hadn't seen a German Chocolate cake that looked like that since his southern grandmother passed away. 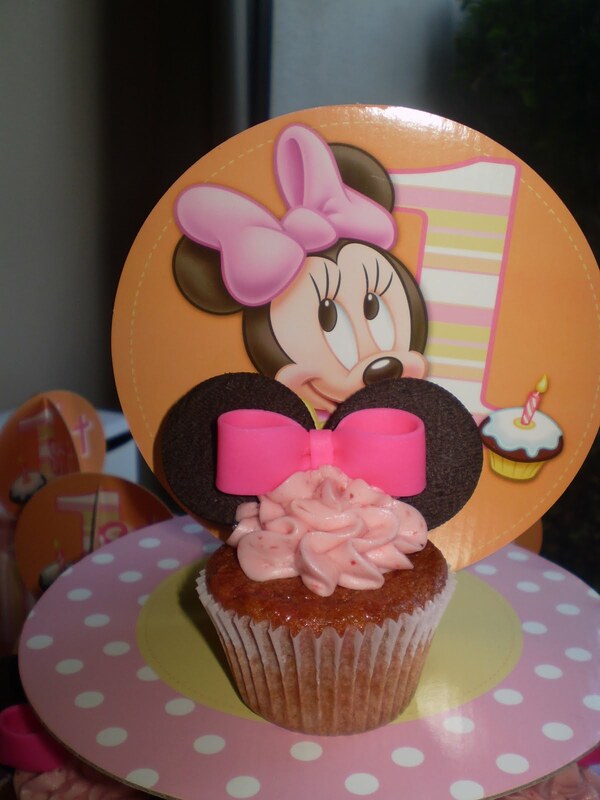 And the cupcake, well that's the ultimate weight watcher's joy. 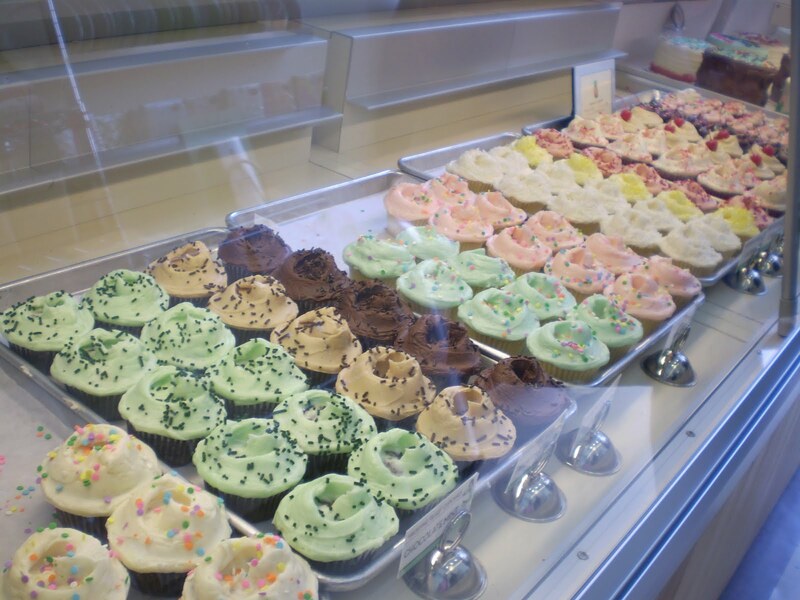 Life can't be all salad and green beans, and a cupcake gives just the right portion for a little sweet tooth therapy. I don't know if it's moving from Atlanta to the Bay Area that has made me miss the flavors of the south so much, but I've discovered that I'm not alone. When I just say the words red velvet or banana pudding, I don't care where I am, the room lights up with joy. And if I can bring that kind of joy to others by doing something I love, then y'all better know I'm gonna do it, and do it well. I never really knew how much I loved lemon cake until I noticed that I had chosen it for my wedding cake. At the top of my blog page is my famous fabulous lemon pound cake covered with a pucker your puss lemon glaze - YUMMMM! That was my choice for my birthday cake last year - please don't count the candles. If you had asked me what my favorite cake was, I would have said pound, or carrot. But when I think about it, I truly do love a good lemon cake. On this past Saturday I happened upon an episode of the Barefoot Contessa which featured a lemon cake that caught my attention. Since I had all the ingredients, I decided to try my hand at Ina Gartens' lemon yogurt cake. Lemon is what this cake truly is. The fresh lemon flavor is awesome. However, I do have a number of complaints about it. First of all, the texture is like a brand new sponge that has been used to soak up an oil spill. The word unanimously used to describe this cakes texture was "weird". The cake also browned too fast on the outside while leaving the inside somewhat undercooked. It ended up looking more like a loaf of cornbread than a lemon cake. By the way, I refuse to take credit for the problems with this cake, since I noticed comments on the food network website with the exact complaints that I had. Needless to say I won't be using this recipe again. However, this leads me to revisit an unfinished pursuit of an awesome lemon cake to add to my cake list to satisfy customer request -Hmm, my birthday is coming up. Maybe I'll be my first lemon cake customer. I guess this means "For the Love of Lemon Cake" will be continued.